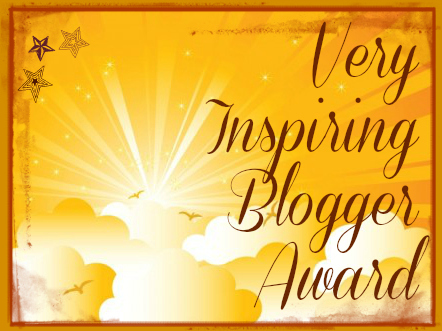 Thank you so much, Eric of http://hunt4truth.wordpress.com/, for nominating me for the Inspiring Blogger Award! We all have the ability to inspire one another. My divine purpose is to inspire others, particularly in the written form. I feel that I, as well as many, many others in the blogosphere have the ability to do just that – to influence, move, and guide by a divine or supernatural inner force that is moving us to build each and everyone of us up, one blog, one hug, one compliment, one message at a time. I want to take this opportunity to thank all the readers and followers of my blog, because you all inspire me and I am so thankful for all that you share in your own blogs and messages, no matter the delivery. Thanks again Eric, for thinking of me when nominating for this award and congratulations to all the nominees. There are no rules – for accepting this award. Just copy it and place it on your blog in a post or wherever you like… link back if you have time to do so. « Doorway to your Soul: What are You Called To Do? Congratulation to all… I know I picked Kimberly… for real! She inspires me.